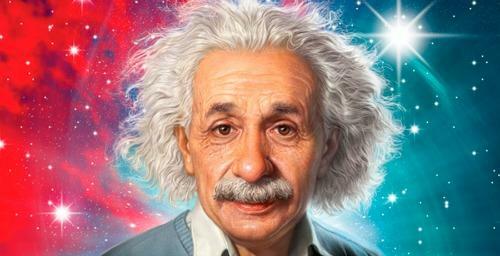 Albert Einstein was a theoretical physicist and among the most profound thinkers of the 20th century. 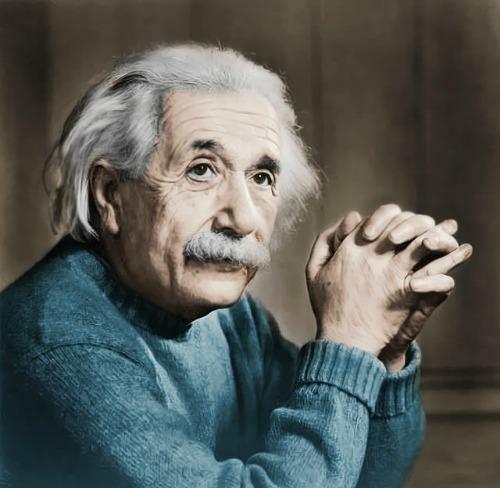 He engineered the theory of general relativity and special relativity, and after winning the Nobel prize in 1921, Einstein was clearly solidified as one of the most influential people ever. 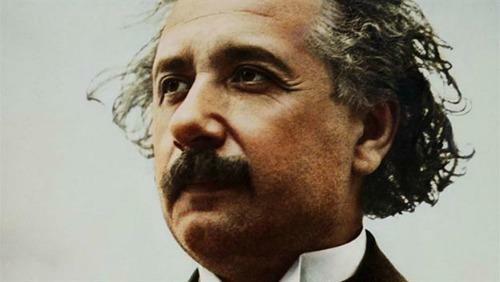 He isn't known only for his great mind or scientific accomplishments, but the man was also wise beyond his years, even in older age, and was insightful, philosophical, and witty at the same time. He was remarkably well-rounded and his brilliance has left its mark. These are some of our favorite motivational quotes of his that demonstrate that brilliance quite well. Enjoy. 1. "Imagination is more important than knowledge. For knowledge is limited, whereas imagination embraces the entire world, stimulating progress, giving birth to evolution." 2. "Great spirits have always encountered violent opposition from mediocre minds. The mediocre mind is incapable of understanding the man who refuses to bow blindly to conventional prejudices and chooses instead to express his opinions courageously and honestly." 3. "Human knowledge and skills alone cannot lead humanity to a happy and dignified life. Humanity has every reason to place the proclaimers of high moral standards and values above the discoverers of objective truth." 5. "I, at any rate, am convinced that He (God) does not throw dice." 6. "The important thing is not to stop questioning; curiosity has its own reason for existing." 7. "Science without religion is lame, religion without science is blind." 8. "Two things are infinite: the universe and human stupidity; and I'm not sure about the universe." 9. "Falling in love is not at all the most stupid thing that people do — but gravitation cannot be held responsible for it." 10. "The most beautiful experience we can have is the mysterious. It is the fundamental emotion that stands at the cradle of true art and true science." 11. "Anyone who has never made a mistake has never tried anything new." 12. "Try not to become a man of success, but rather try to become a man of value." 13. "The secret to creativity is knowing how to hide your sources." 14. 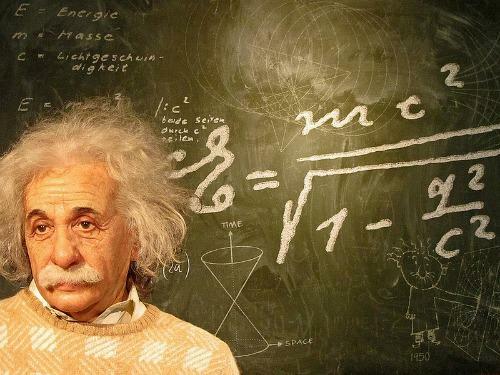 "The difference between genius and stupidity is that genius has its limits." 15. "Weakness of attitude becomes weakness of character." 16. "Pure mathematics is, in its way, the poetry of logical ideas." 17. "Nature shows us only the tail of the lion. But I do not doubt that the lion belongs to it even though he cannot at once reveal himself because of his enormous size." 18. "Only a life lived for others is a life worthwhile." 19. "It's not that I'm so smart, it's just that I stay with problems longer." 20. "My religion consists of a humble admiration of the illimitable superior spirit who reveals himself in the slight details we are able to perceive with our frail and feeble mind." 21. "Peace cannot be kept by force. It can only be achieved by understanding." 22. "I never think of the future. It comes soon enough." 23. "Do not worry about your difficulties in mathematics. I can assure you that mine are all greater." 24. "In order to form an immaculate member of a flock of sheep one must, above all, be a sheep." 25. "The most incomprehensible thing about the world is that it is comprehensible." 26. "Reality is merely an illusion, albeit a very persistent one." 27. "Truth is what stands the test of experience." 28. "Life is like riding a bicycle: To keep your balance you must keep moving." 29. "Insanity: doing the same thing over and over again and expecting different results." 30. "Common sense is nothing more than a deposit of prejudices laid down by the mind before you reach eighteen." 7 Love Quotes By Martin Luther King Jr.